BitStream just gave me 500 referral codes for the Bolt Browser that I reviewed last Friday. If you don’t have Bolt, go to http://boltbrowser.com click the “Download” tab and fill out the form, entering wapreview in the referral code field. I also found out a little more about Bolt. Versions and Upgrades: The initial release of Bolt was version 0.70, the latest is 0.73 – which is what you should have if you downloaded after 9 AM EST on Friday. There is another release in the works although I have no ETA. If you don’t have 0.73, go back to the Download page and request a new download. I don’t think you need a referral code for updates, the site should recognize you as a returning Beta tester based on your email address. Bolt is based on Bitstream’s ThunderHawk Browser. The underlying ThunderHawk technology supports BREW, Windows Mobile and Symbian and it is planned for BOLT to support these platforms in the future. Bolt Architecture: Bolt uses the WebKit rendering engine and Bitstream’s proprietary fonts and font engine on the server. Content is compressed 23:1 before being sent to the handset, reducing data traffic and page load times. Multimedia and Plugin Support: BOLT supports Flash video. The client/server architecture is used to transcode the video on the fly into 3gp format, then send to the device. In some devices (e.g., Motorola RAZR), video is played directly in the browser window as it would be on a PC. 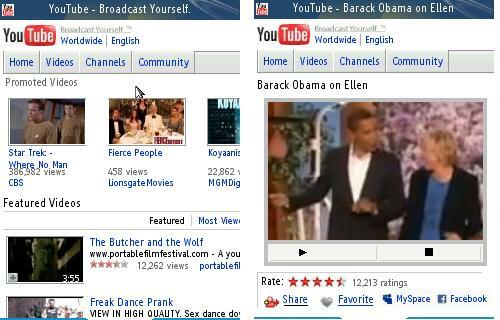 In others (e.g., BlackBerry smartphones), the video is played through the device’s native media player via the native browser. The device’s capabilities determine the process used to display video. Video that is in mobile 3gp format is sent directly to the device without transcoding. Bolt supports Ajax (except for timer events). If you missed out on the first round of Bolt invites last week, now you have another chance. If your phone supports Java ME, I highly recomend you give Bolt a try. This entry was posted in Browsers and tagged Bolt Browser Beta Codes, Java ME browser, server assisted browsing by Dennis Bournique. Bookmark the permalink. Java apps need different settings than the built in browser. See here for some help: Solving Opera Mini Connection Problems. Although it says Opera Mini in the title everything on that page applies to Bolt as well. Hey! I’ve got bolt 2.0 for my nokia 2700 but it refused to work! “Refused to work”? You have to explain the failure mode clearly including any error messages if you expect anyone to help. Prasetyo, I don’t understand your question. There’s nowhere to enter a “host server” in Bolt and no need to. Just install it and run it. If it doesn’t work either your GPRS settings are wrong or you don’t have a data plan. I’ve download this application,but i need host server to get start this application.Anybody can help us,what host/server for this bolt?Please send to my mail. First make sure you are using the same access point settings for Bolt as work for Opera Mini. Try the multi-signed version first, if it fails try the other signed versions. If they fail then try the unsigned ones. Actually, if it’s 40k heavier one wonders what’s inside it – I can unpack a jar but java is not my language. Of course I never trusted the anonymous teashark! By the way, Dennis, there’s a ‘new’ browser making the rounds though its’ provenance is problamatic: it’s name is ‘firefox’ in an ironic tip of the hat to the heavily anticipated but never here fennec – I believe it’s some kind of mod of teashark, which, like you, would normaly make me worried but, since we know nothing of who is behind teashark and it was, last week, the no. 1 download from mosh and, for how long?, there has been on development of teashark, i think we may be permitted to test this. It’s about 40k heavier but seems very smooth. If you think it’s wrong to try it please tell me. If not, then what you think? I just enjoy the irony. Come on mozzila, we’re waiting!